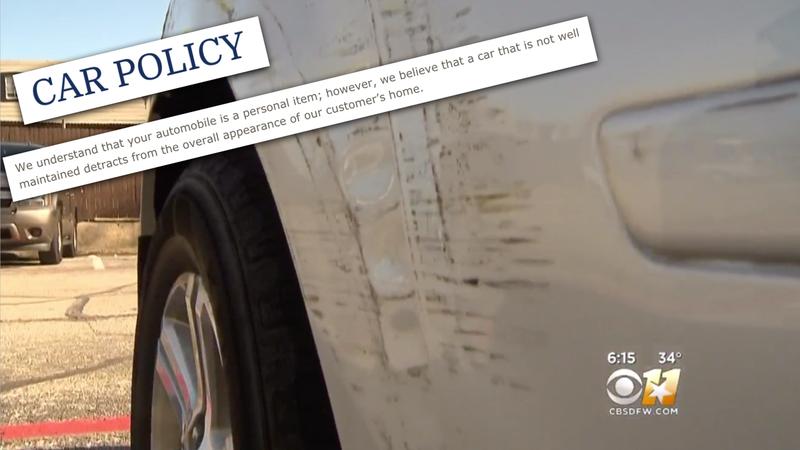 As humans, we sometimes make contract agreements that don’t seem to be a big deal or like they’ll become intrusive in our lives down the road—like this Dallas apartment complex’s “fix your car or get towed” policy, no matter how minor the damage. Then, like being backed into out of nowhere, reality hits. Dallas-Forth Worth news station CBS 11 reports that Sontlux Sukhavachana, who has what looks to be a previous-generation Chevrolet Traverse with a dent in it, said he got a notice on his car recently saying the company that owns the apartment complex he lives in, Fath Properties, planned to tow it. The dent is moderate; it’s not particularly small, but it’s also not something the average passerby would likely care much about. One of our unique policies is the Vehicle Condition Agreement that is part of our Rental Criteria and an Addendum to the Lease Agreement. Amazingly it came from our applicants consistently telling us the first thing they looked at were the cars in the parking lot. If the cars were disabled, heavily dented, rusted, unsightly, they assumed the property was poorly operated and their neighbors would be unacceptable. We understand that your automobile is a personal item and as such is your right to drive whatever you want, however from our research, this is something most good customers requested and we do have the right to provide.